2015 brought about a major coincidence in the world of sequels. 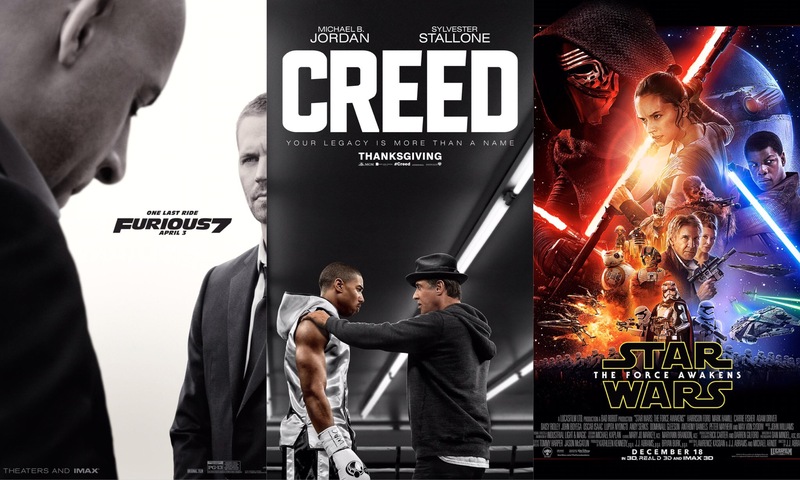 Three of this year’s biggest movies happened to be the seventh installment of their series: Furious 7, Creed (technically Rocky VII), and The Force Awakens (aka Star Wars: Episode VII). The best part about this was that all three were really good movies. Each of them are arguably the best in their respective franchise, share the same genre, and were significant films in the context of their respective franchises. Furious 7 was the final film with series mainstay Paul Walker, representing the end of an era for the series. Creed was the spiritual successor to one of the greatest boxing franchises of all-time and will kick off a new potentially awesome series. The Force Awakens was the return to form for the first and greatest space opera ever, bringing Star Wars to a new generation and restoring hope to a franchise that was on a bad foot previously. NOTE: This review is spoiler safe. See link for spoiler discussion below. Enjoy! Here we are, folks. The end of the year. December. Christmas time. Winter. Or as I’d like to call it: Star Wars Season? Yeah, that’s what we’ll call it. The point is that Episode VII is finally here. Quick backstory on me. For those who haven’t been with this blog for very long, I am what you consider a “new” Star Wars fan. I saw my first Star Wars movie at age 15 (three years ago), completed the original trilogy just back in April, and only started the prequels this month. I am a fan of the series, but I have no personal nostalgia toward it. (I go more into this topic here). I’m bringing this up just to give you an idea of my perspective going into this new trilogy. Three years ago also happened to be the time when Disney first acquired Lucasfilm. I remember being on web forums at the time and hearing friends complain and worry as I sat back listening with a veil of indifference. As I went further into the movies, hype slowly started building around me, and once I finally completed Return of the Jedi I was officially part of the hype train. From there, me and my parents introduced my other siblings to Star Wars through a marathon and made plans to see the new film ASAP.